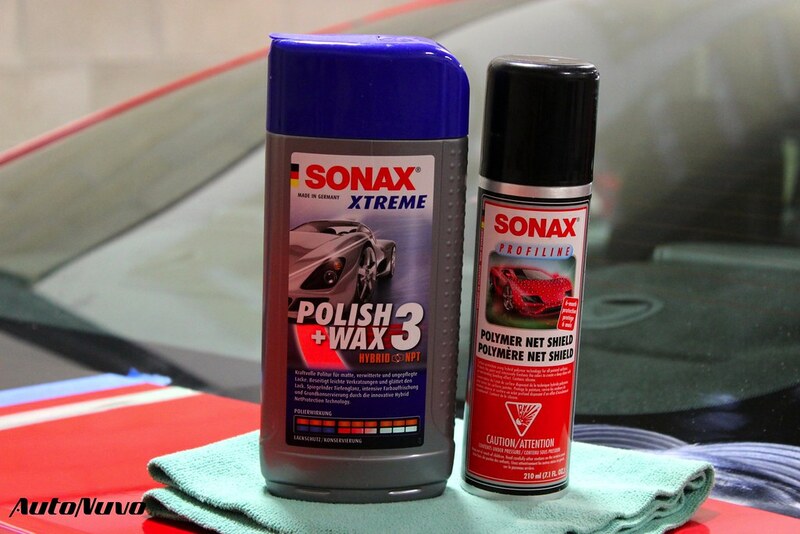 Sonax Hybrid Paint Cleaner is a great product to make a dramatic difference in your paintwork, utilizing the same fine abrasives found in Sonax Nano Polish. Paint Cleaner lightly cleans the paint and lays down valuable sealant protection all in one easy step. Where Paint Cleaner really excels is in its versatility; it can be used as an AIO (all-in-one) polish to enhance gloss and clarity on softer paints, or as a finishing polish on larger paint correction jobs. Paint Cleaner will become your best friend on enhancement detail jobs where a full correction isn’t in the cards. The amount of gloss you can get out of this product is staggering while also improving the clarity and masking some smaller defects. 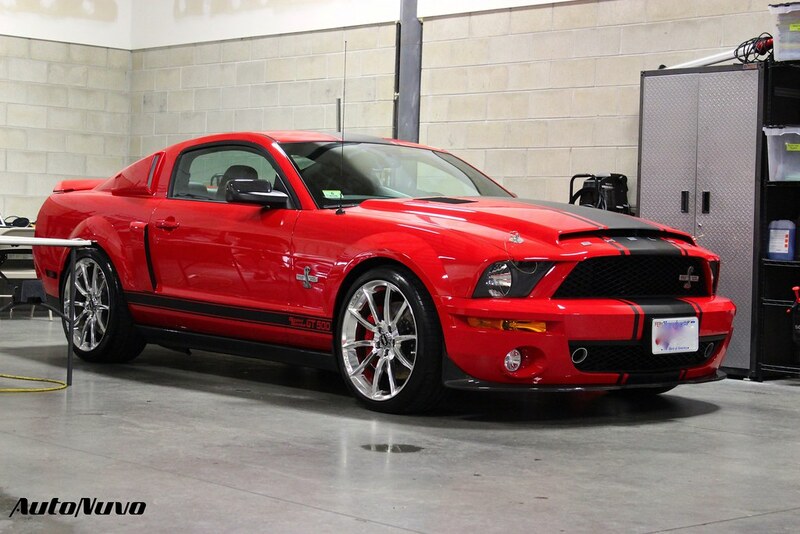 We had a 2007 Ford Shelby Cobra Super Snake in the shop recently. After an initial consult with the client, we decided the best approach was going to be an intensive one step polishing process. After we did our test section however, we quickly realized that a more aggressive approach was going to be necessary in order to remove a lot of the larger defects in the hood, trunk, and fender areas. We proceeded to lightly compound the whole vehicle with Meguiar’s D300 and a Meguiar’s 5.5 inch Microfiber Cutting Disc on the Rupes 21LHR. Now normally we would finish the paint down with a dedicated polish and then apply our LSP (last step product) of choice. In order to save time and stay within the client’s budget, we finished the paint down with Paint Cleaner. This allowed us to remove the compounding haze and bring back the luster while laying down a base player of protection. 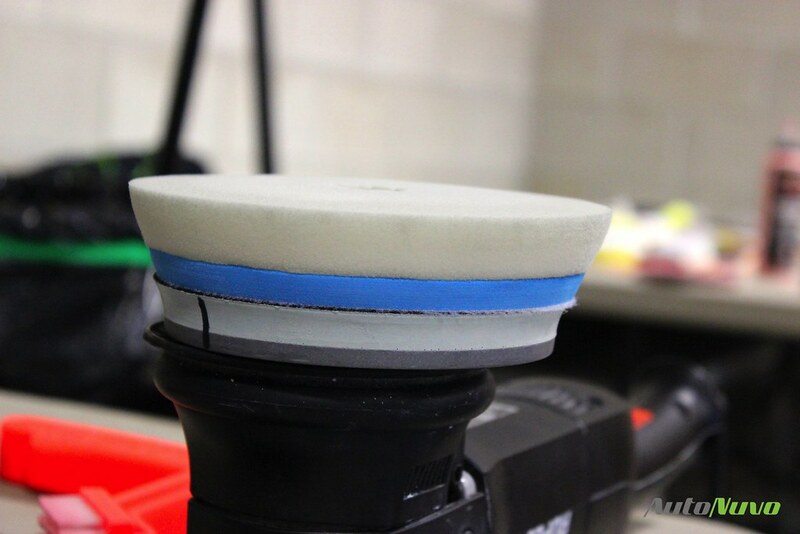 We grabbed our Rupes 21LHR and a CarPro Gloss Pad and applied two drops of product onto the face of the pad and worked it in on speed 3.5. We polished the whole vehicle before wiping off with a Meguiar’s Ultimate Wipe Towel. Once the polishing was complete it was time to enhance the gloss and further protect the car. We grabbed a bottle of Sonax Polymer Net Shield and began to apply two coats to the paint, wheels, trim and glass, wiping off as we went along with a DI Double Thick Edgeless Towel. As a last step we gave the paint a final wipe down with Sonax Brilliant Shine Detailer and a plush microfiber to extract as much gloss out of the finish as we could. 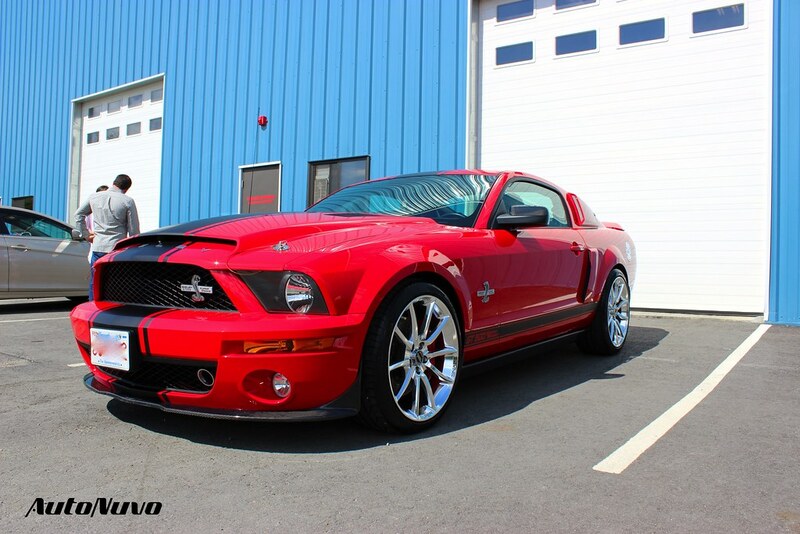 Needless to say this was one shiny red Mustang when we were done. In the end the vehicle looked like it had gone through a major twenty five hour paint correction service, but in reality we had made a dramatic difference to the paintwork in much less time utilizing Sonax Paint Cleaner. Paint Cleaner is one of those products, similar to many other AIO polishes, that can make a huge difference in your paint without the huge investment in time and money associated with labor intensive paint correction details. If you are looking for a particular combination to bring back some clarity to your paint in a time efficient manner, I would look no further than Sonax Paint Cleaner, Net Shield, and Brilliant Shine Detailer. These three together create one outstanding finish. 7 comments on Product Review: Sonax Hybrid Paint Cleaner; Gloss in a Bottle! Great product review. I wonder how long pns will last on the paint?? I know I have seen 8 months of protection when using the brilliant quick detailer. Is it ok to layer the paint clean under the pns? Thanks Adrian, Sonax Net Shield should last anywhere between 3-5 months on daily drivers. Paint Cleaner by itself will last around 2 months but layered under net shield should last the full 5 months. Brilliant Shine Detailer is really the cherry on top of the cake adding gloss and slickness, durability wise by itself I’ve seen about a month on daily drivers, hope this helps! 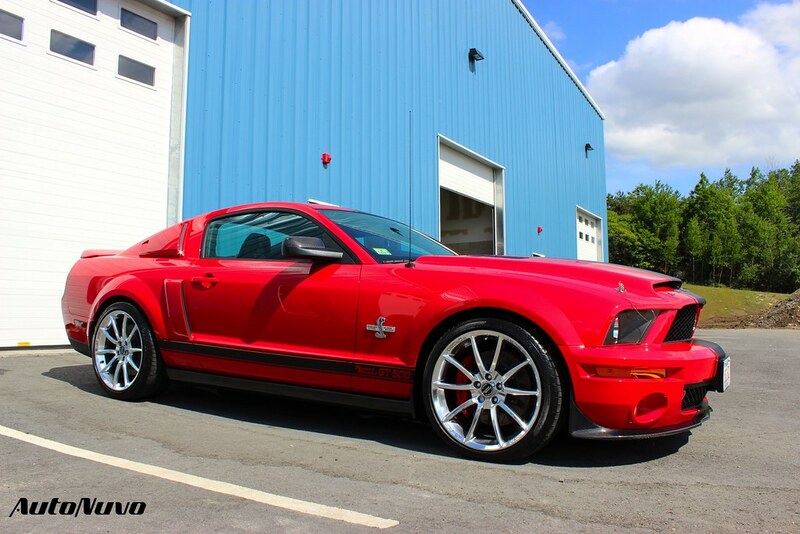 8 months of protection using brilliant quick detailer……..Something my people will sink there teeth into !!!! As far as I can see there’s no risk of bonding issue between the above two products ? Some have raised the possibility of this issue since the cleaner contains some wax. Hey Marc, thanks for the reply, I thought the same thing when I first tried this combo, that there would be a bonding issue but after chatting with Jason over at Sonax USA he told me that the paint cleaner actually has sealant protection built in not wax particles. Ive never had any bonding issues and the protection seems to last the full 4-5 months and holds up very well even after multiple Dawn and citrus wash washes. Indeed great job James you did with my car, very pleased. I recommend you all the time. Thanks again. Article indicates that you applied two coats of PNS. Sonax people say the second coat may have adhesion problems over the first coat? How long did you wait before the second coat? What waiting period between the PNS and Brilliant Shine? Also, have you use Sonax Liquid Wax? Where would that fit into the process?